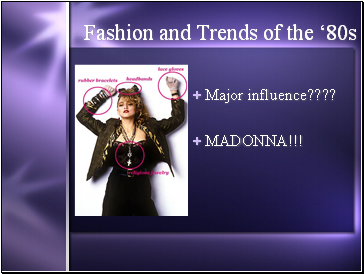 Now, who is the influence for these trends & fads? 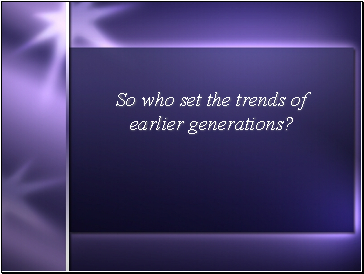 So who set the trends of earlier generations? 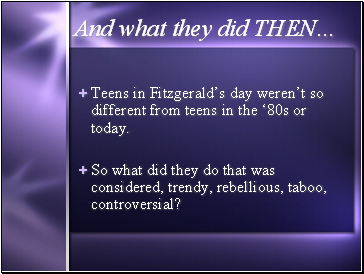 Teens in Fitzgerald’s day weren’t so different from teens in the ‘80s or today. 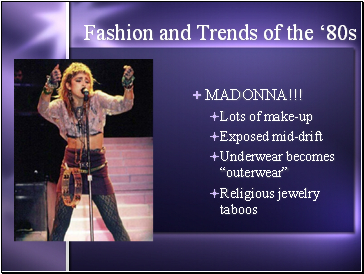 So what did they do that was considered, trendy, rebellious, taboo, controversial? 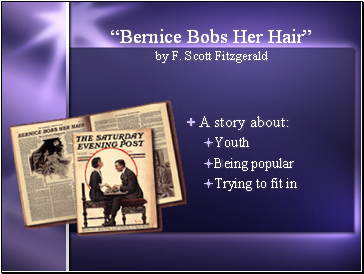 Girls wore short, straight dresses and cut their hair. 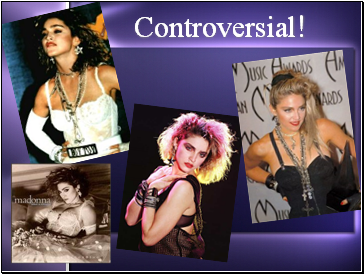 It was shocking and rebellious- and it got attention! 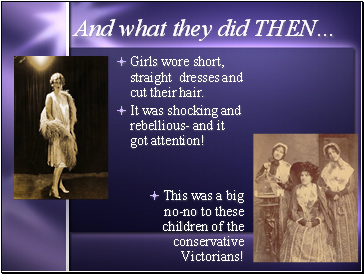 This was a big no-no to these children of the conservative Victorians! 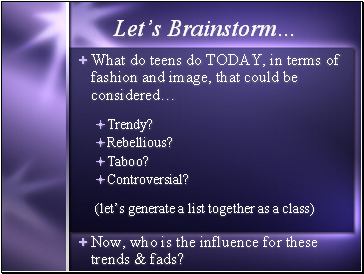 Notice what the popular teens are doing, how they behave and how they interact with others. 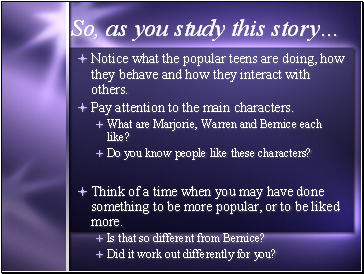 Pay attention to the main characters. 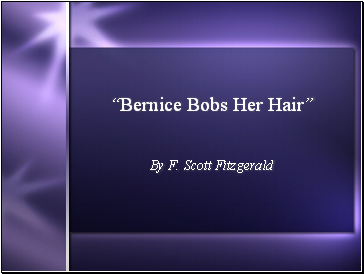 What are Marjorie, Warren and Bernice each like? Do you know people like these characters? 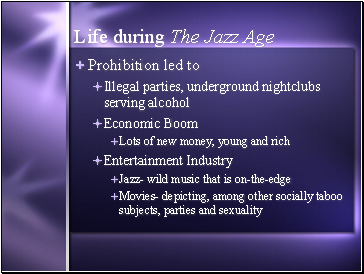 Think of a time when you may have done something to be more popular, or to be liked more.